ICONIC art group Coolum Art Collective was in need of a facelift. Not the artists, but the boards they displayed their work on. Out with the old and in with the new has been made possible by the help of The Shop proprietors, Gaye and David Pocock, who have donated $300 towards the purchase of some new boards. 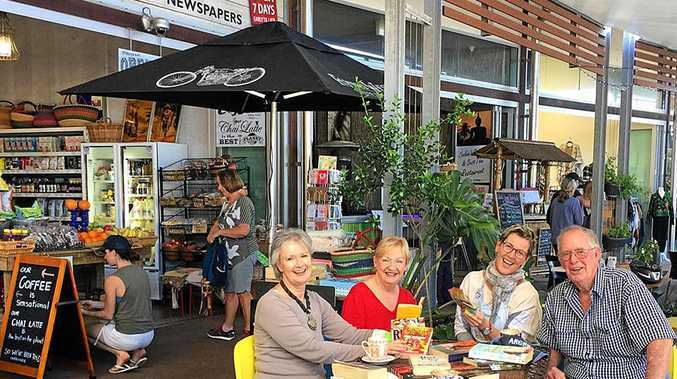 The Shop Coolum has accumulated pre-loved books and selling them on to raise money for local charities and community groups. This time they were able to help the Coolum Art Collective with the money raised from the book sales. Coolum Art Collective president Almeta Lennon said the collective was thrilled to bits to be the recipient of The Shop's generosity. "Not only does this business spread goodwill to local beneficiaries, but they make an awesome coffee and chai lattes." Coolum Art Collective will continue to fundraise for the boards and they are hoping to debut them next April with an exhibition celebrating 50 years of painting and exhibiting in Coolum.